[unpad.ac.id, 11/05/2018] The presence of the Science and Technology Zone (KST) in universities is not just a research window of innovation. This area must be an integral part in releasing various academic research innovations into something useful in society. 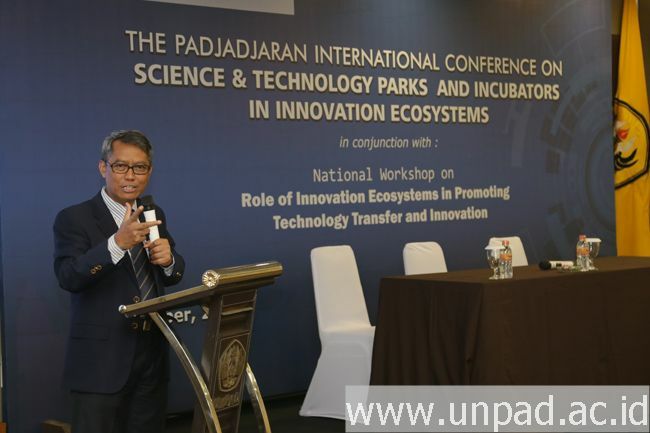 “The development of KST by the government is expected to have a strong contribution to national development,” said the Rector of Unpad Prof. Tri Hanggono Achmad opened the international seminar “The Padjadjaran International Conference on Science & Technology Parks and Incubators in Innovation Ecosystems” (PICS) at Unpad Training Center, Jalan Ir. H. Djuanda, No. 4, Bandung, Monday (5/11). In line with the strategic plan for KST development, the presence of this zone is an important facilitation in generating innovation in universities. However, this effort cannot be carried out by higher education alone. The Rector explained that there must be an ecosystem of interactions involving various strategic sectors. Through good interaction and collaboration, the various innovations will be downstreamed and have strong links with what is needed by the community. “This innovation so that people can enjoy it must indeed be raised up, whose bridges are business or industry players,” said the Rector. On the other hand, the industry will be interested if the innovation is needed by the market. The Rector said, even though the innovation produced was an extraordinary discovery, if the market assessed that the needs were not large, the industry would not necessarily want to produce large quantities. “Next, even if needed by the market, is this process profitable or not? I am sure there is no industry that wants to do business if it is not profitable,” He explained. The creation of an interaction ecosystem in KST vehicles is expected to bridge innovation with the needs of the community and business of industry. Although currently the development of the start-up business is largely not from scientific development, the Rector believes in academic strength but is the key to building national strength. Through this international seminar, ecosystems are expected to be built and mutual openness in the development of KST Unpad. This was based, many seminar participants were not from academics. During the opening of the 2018 PICS activities, Unpad also cooperated with venture capital company Shanghai Neobay Venture Capital, Co., Ltd. This collaboration was realized through the signing of the MoU between the Rector and Neobay CEO Zhang Zhigang, PhD. 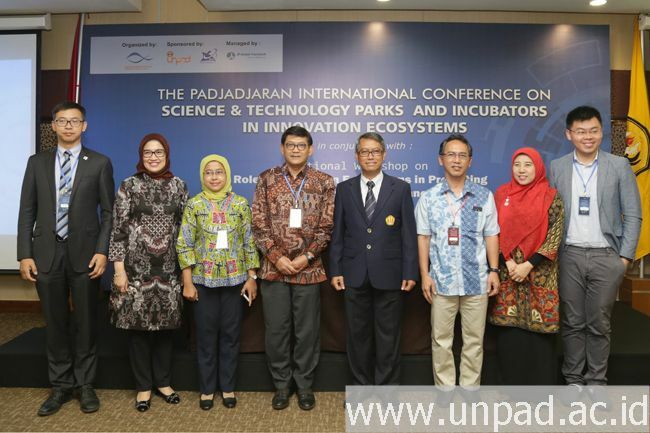 The Chair of Unpad Oorange/Business Incubation Center which is also one of the Unpad KST divisions Diana Sari, Ph.D., said that this cooperation was carried out to incubate various business potentials owned by Unpad. “Businesses that have been incubated at Oorange will be promoted by Neobay, hopefully there will be many investors,” Diana said. This collaboration with Neobay is considered very profitable. As a large venture model company in China, Unpad has the opportunity to integrate various business potentials and research innovations with the business and industry sectors at the global level.